due to its simple adjustment system and the precisions of its movements and remarkable performances, high speed gripper feeds have the perfect solution to problems of feeding medium and high speed presses. - Round guides with Linear ball bushings. - Capability to mount to any type of press. - Transmission through bevel gear box and cardian shaft from the press. 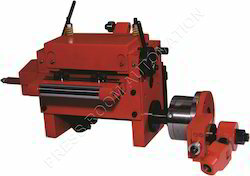 We have gained immense appreciation in the industry for manufacturing and supplying Gripper Feeder 400 X 400. High in performance, the offered machines are developed with the help of modern machinery and technology. In addition, these machines are dispatched timely at the clients' premises. We offer exclusively designed Feeder Gripper. 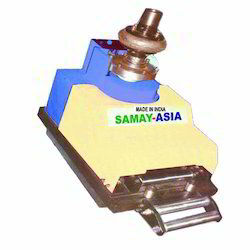 We manufacture and trade feeder grippers designed according to the needs of the clients. Our product is fabricated using high quality raw material and is high on utility. These feeders are available in cost effective designs. The high-speed gripper feeds have the perfect solution to problems of feeding medium and high-speed press, due to its simple adjustment system and the precision of its movements and remarkable performance. Suku Coil Handling Pvt. Ltd.
We are a unique entity in the industry, actively committed towards providing a qualitative range of Mechanical Gripper Feeder. - It increases the handle thickness of spoon/forks/toothbrush/pen/pencils/razor and other everyday items making them easy to grip. - Builds up grip to give greater control to people who lack co-ordination or strength for gripping. SKI Mechanical Gripper Feeder is used for application where high speed and high accuracy is required. High accuracy at high speeds demands feeder with positive synchronization, smooth acceleration and low inertia of moving parts.